Really don't like this track, and it's been turning into one of the least entertaining races for me over the past 5 years so far! Maybe I'm being premature and it'll get better after the red flag, but I don't see it happening. I love FE but the continues penalties for various technical infringements are very grating. They need to simplify some of the rules. At least Jev only got a reprimand so the podium is accurate this week! The one about using your brakes the same on every lap in qualifying is ridiculous. This latest example where Buemi gets DSQ because he crashed and didn't brake with full pressure on his way back just drives it home. JEV arguably deserved a penalty for not staying close to the safety car, though. That one's a pretty normal rule, and I think everyone knows it. Vettel got a penalty for the same thing back in the Red Bull years. They haven't specified when Jev did that. I was assuming it was on the 1 lap safety car after the red flag? If it was then I can see the reprimand being appropriate as there was no safety issue and the car was due in the same lap. If it was the earlier period then a bigger penalty should have been applied. Edit: Seen the replay now, it was the restart safety car period. And he was a long way back with the safety car lights still on. But on the flip side, the safety car lights were on very close to the end of the lap for knowing it was coming in. The Buemi one is absurd and unfortunately it's not the first. It feels like they are trying to trip teams and drivers up sometimes. Great race for Vergne, finally some luck & big points for him. That manouver on Rowland (maybe the best rookie of this season so far) was bonkers. Yes only, were politics involved with it being the home race for his team? Has Buemi been penalised for crashing out di Grassi? I don't care tbh. I've had enough of seeing drivers loose wins for things that didn't effect the race. I must admit I didn't mind Vergne winning in comparison to Oliver "I'll put you in the wall if you try to pass me" Rowland. A penalty for Vergne would have been way too harsh imho. Next stop Rome in three weeks, one of the best tracks of Formula E! Than Paris, Montecarlo, Berlin, Bern. European season about to begin! With the pace of these cars in mind I would say anyone down to 14th still has a chance of taking this championship. Only been 2 weeks and found this thread halfway down page 2! Guess it's good to see the forum getting a bit more traffic through it and activity again though. I'm looking forward to it. Seems like Piquet has been dropped. 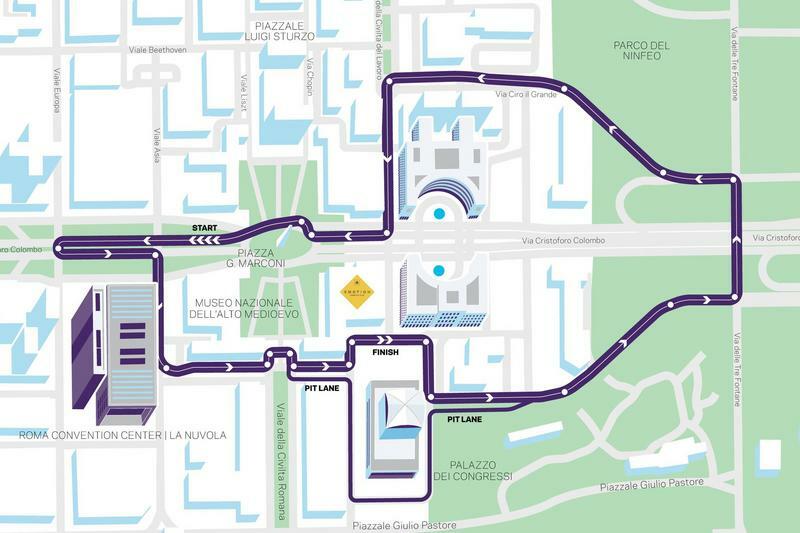 Yeah, Rome e-Prix coming up tomorrow afternoon! One of the best tracks of the season, with elevation changes, fast parts & techinical ones. This year they've widened the chicanes, so it should be even better! Race on BBC Sport, Red Button, Quest, BT Sport or Eurosport. Great race after the restart. Don't know what happened behind the first 2, but great racing by both of them. A bit gutted for Lotterer, but well deserved win for Evans and Jaguar.